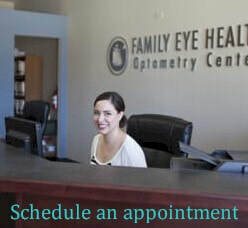 Are you looking for excellent Family eyecare in SAN marcos? Our office is dedicated to providing our patients with the highest quality, professional eye care available. We are committed to helping our patients maintain quality vision throughout their lifetime by conducting thorough eye health evaluations and providing patient education. We strive to offer the newest advancements in contact lens and eyewear products to help you attain excellent vision and address all your lifestyle needs. Our warm and friendly service will ensure that your experience at our office exceeds your highest expectations in meeting all your eye care needs. Our office offers a wide range of services, including eye exams, contact lens evaluations, LASIK consultations and general office visits for the treatment of pink eye, dry eye, or ocular allergies. Our eye doctors and staff pride ourselves in our broad selection of optical services, including designer frames, eyeglasses, sunglasses, and single vision and progressive lenses to fit any budget.